When Japan was announced as the host of the 2020 Olympics last month, it brought about a new wave of concern over the ongoing environmental crisis at Fukushima. As the government pushes for an end to the leaks at the nuclear power plant, the organizers of the 2020 Olympics have another focus: to make the event a spectacular display of the country’s technological prowess on par with the 1964 games. 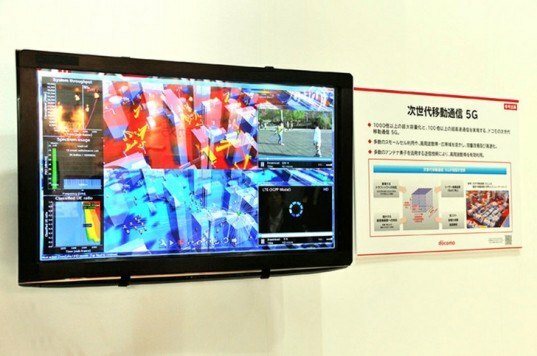 Tech companies from around Japan have already begun to showcase the amazing developments they hope to have in place in just seven years time – from self-driving cars to a cellular network 100 times faster than LTE and “Super Hi-Vision” 8K broadcast quality. Many of the emerging technologies that we might see in 2020 were on display at the massive CEATEC 2013 expo in Japan last week, prompting media speculation that the Olympic games could serve as a boost to “revolutionize” technology. And while, as IT World points out, putting self-driving cars on the road and broadcasting the games on super-high definition TVs might sound like “fanciful dreams,” we only have to look back at the 1964 games to see what Japan is capable of. 1964 heralded major improvements in transportation in the city, including the construction of the Shinkansen bullet train, several Tokyo subway lines and expressways throughout the city. Additionally, the Olympics were “notable as the first to be broadcast overseas via satellite and in color.” It makes a great deal of sense; as every city who has hosted the Olympics has discovered—the massive influx of people trying to get to the games is a major infrastructure headache. For all those who can’t get to the games, they want to watch it in the best way possible. So what better event to show the world what one can offer on those fronts? 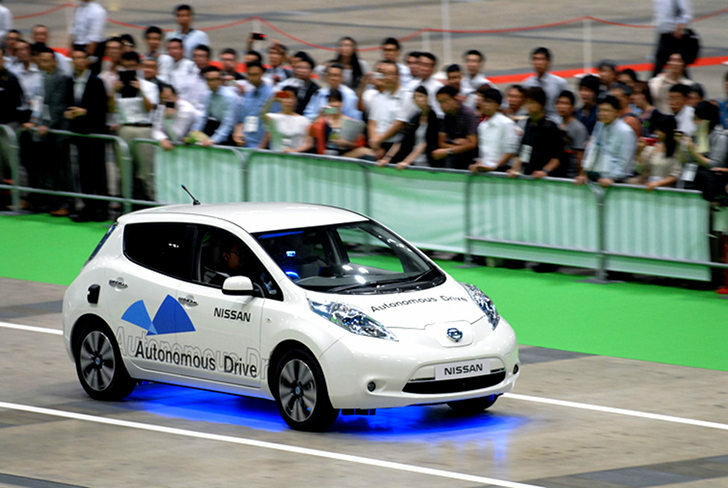 The major tech players vying for the spotlight at Japan’s Olympic games include Nissan, who hope to have their self-driving car in production and on the streets of Tokyo by 2020. Their Autonomous Drive technology scooped the Grand Prix in the CEATEC Innovation Awards, viewed by the jury as a development that will “greatly benefit future society by reducing traffic accidents and fatalities, preventing traffic congestion and contributing to a reduction in environmental issues through improved fuel economy.” The technology, which includes five cameras and five lasers as the “all-seeing eyes” of the vehicle, is currently being tested on the Nissan Leaf, and the company believes it will be commercially viable within seven years. As for how we watch the games, Japan’s national broadcaster Nippon Hoso Kyokai is at work on 8K Super Hi-Vision broadcast quality that offer 16 times the level of detail of current top-of-the-range 4K systems. NHK aims to begin transmission in the 8K system by 2016, and to be able to broadcast the entire games with exceptional quality by 2020. Of course, with a huge influx of people arriving for the games, many of them recording events and sending pictures and video via smart phone, one can predict a significant stress on the cellular network. Japan’s biggest cellular provider, NTT DoCoMo is currently in the development stages of a 5G network that will—all being well—provide Tokyo with data rates between 1Gbps and 10Gbps in time for the 2020 Olympic Games. Sadly, however the successor to the bullet train, JR Tokai’s 310mph Maglev train, is not set to launch until 2027. When Japan was announced as the host of the 2020 Olympics last month, it brought about a new wave of concern over the ongoing environmental crisis at Fukushima. As the government pushes for an end to the leaks at the nuclear power plant, the organizers of the 2020 Olympics have another focus: to make the event a spectacular display of the country's technological prowess on par with the 1964 games. Tech companies from around Japan have already begun to showcase the amazing developments they hope to have in place in just seven years time - from self-driving cars to a cellular network 100 times faster than LTE and "Super Hi-Vision" 8K broadcast quality.